Walking into our stories of hurt can feel dangerous. But the process of regaining our footing in the midst of struggle is where our courage is tested and our values are forged. Our stories of struggle can be big ones, like the loss of a job or the end of a relationship, or smaller ones, like a conflict with a friend or colleague. 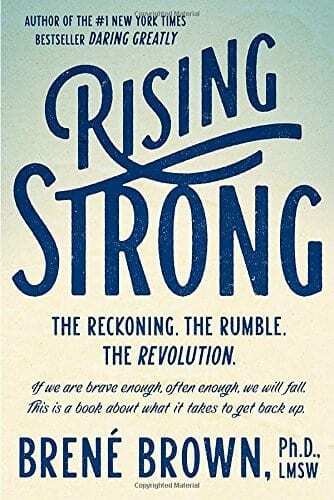 Regardless of magnitude or circumstance, the rising strong process is the same: We reckonwith our emotions and get curious about what we’re feeling; we rumble with our stories until we get to a place of truth; and we live this process, every day, until it becomes a practice and creates nothing short of a revolution in our lives. Rising strong after a fall is how we cultivate wholeheartedness. It’s the process, Brown writes, that teaches us the most about who we are.